A fungo bat is a kind of practice bat in baseball. Despite the silly name and its rather strange design, this bat actually offers an important service for players and coaches alike. Everyone who’s serious about sports, from players to coaches and parents, know the crucial value of dedicated practice. You have to practice, and then practice some more. This is especially true in baseball, where the skills involved are numerous and not as easy as it seems. Everyone needs to learn how to field their position and that begins with fielding grounders and pop up fly balls. So coaches practice with their players by tossing and hitting practice grounders and popups. These are called fungoes, and no one’s really sure about how that name came to be. The special bats used for practice were then called fungo bats. Nowadays, no one really uses the term “fungo” for the baseball used in practice. When you hear “fungo” it almost always refers to the special fungo bats. These bats aren’t some sort of fad that baseball manufactures foist on their customers. They’re actually a longstanding traditional part of baseball. They’ve been in use since the 19th century, which means in the 1800s. Before we get into the why and how let’s just right to the best fungo bat options for 2019. In a hurry? Just looking for a cheap fungo? The good thing about the Easton fungo bat is that Easton takes the design and manufacture of fungo bats almost as seriously as they do with their regulation baseball bats. That’s evident when you first see the MLF5. The barrel comes in a wide variety of available colors, though the bat handle almost always remains black. You probably should pick a catchy color so you can distinguish it right away from the regular bats. The blue or the red really looks nice. You may even want to pick the yellow barrel, so that your players won’t use it because it’s “uncool”. The handle is very long, and the diameter is 7/8 of an inch. That’s true whether you pick the 34-inch or the 37-inch version. Strangely enough, these two bats have the same “swing weight”. The longer bat is lighter at 17 ounces, while the 34-inch version weighs about 20.3 ounces. If you’re looking to hit more fly balls to older outfielders, you should get the 37-inch version. It’s very flexible and you can use it to hit fly balls consistently and easily. That should help your outfielders practice tracking fly balls and anticipate proper location catches. For the Little League players, the 34-inch may be your most suitable option. It’s a bit easier to swing and control so your accuracy is even better. The fly balls don’t really fly as far, but then that’s not a drawback in the smaller Little League baseball field. What’s This Easton Made Of? It’s made of North American maple, and its traditional feel is quite comforting for the adults. For most people, it’s actually fun to use and you don’t get the metal pings that purists aren’t really fond of. You can use this for a long while without getting too tired right away. The maple is also quite durable as well. With its midrange price, performance, and durability, the MLF5 is a worthy entrant to this list. You even get a lot of options for its colors. Lots of coaches use and recommend this. Even some MLB players mention this to their acquaintances when they’re asked what kind of fungo bat is the best option. If you’re looking for a reasonably priced wood fungo bat with superb performance, this is a great option for you. It somehow feels right in your hands too. The Louisville Slugger brand is among the best-known bat makers in the world, so it stands to reason that they also have an excellent wood fungo bat to offer. It’s made of traditional performance-grade ash. This is the 2015 model that’s still quite good, which explains why it’s the most affordable fungo bat on this list. At this price range, many feel that it offers quite a bang for your buck. This measures 36 inches long, and that’s enough for you to serve up pop fly balls to your outfield even if you’re training high school kids. The premium ash wood is very solid and the performance is quite consistent. It’s also terrific if you want to have your infielders practice for hard ground balls. You can have these infielders stand back deep in the field so they have enough space and time to react to the ground balls properly. However, it’s cheap so you may have to deal with some issues. Foremost among these is that the bat is a bit on the hefty side. It’s only a little bit lighter than regulation bats for adults, as it normally weighs anywhere from 25 to 27 ounces. You still will find this easier to swing than regulation bats though. You just need to get used to the weight if you’re used to a much lighter fungo bat. It’s also still thinner than a regular bat as well. So don’t think that because of the weight you can use this for pitched balls. It’s still not designed for that kind of use. Because of the weight and the length, it may not be easy for some people to hit short and lazy ground balls with some consistency. You may need to choke up a little first, so you can control your power. Any Known Issues With This Baseball Fungo Bat? You have to be very cautious when you swing this fungo bat especially when you’re training Little League players. It’s just too solid for its own good. But if your players are all older and at least in high school, then you can swing away and they should be able to handle the even the grounders you set. The natural finish looks good, and for most people the bottom 12 inches of the handle is smooth enough. But that’s not a unanimous reaction though. A few others think it’s still rough and you may have to cover it with some lizard skin to compensate. In any case, if you’re looking for budget fungo bats then this is a great option. Many coaches don’t really want to overthink their fungo bat purchase. This one works well at this price range, and the price is nice. It may be a bit bulky, but for some large coaches that’s actually a good thing. SSK's Wood Fungo bats are the #1 choice of most coaches at all levels. Actually, this fungo bat isn’t limited to the 33-inch length. You can also go for the 35- as well as the 37-inch option too. The price for each is the same. It’s actually the most expensive fungo bat on this list. Then again, for many coaches this bat is worth the few extra dollars. It’s the favorite fungo bat of many professional coaches. 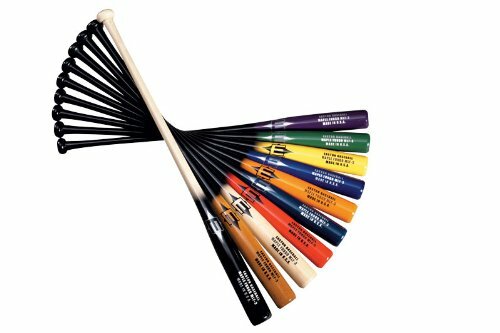 This fungo bat also consistently makes most knowledgeable lists of the best fungo bats in the market today. Why Do Coaches Love This Bat? So what makes these bats so popular? One of the main reasons for its fame is due to the use of Japonica Poplar wood for its construction. This wood is quite dense, so the hits are solid. It’s also very durable so you can expect it to last for a very long while. You just need to be very careful where you get it. Its popularity means that there are some fakes going around, just as you have fake Rolexes at many street corners. You’ll know your fungo bat isn’t the real deal if it breaks too easily. Despite its density and durability, the wood is also very lightweight and that weight is perfectly balanced. What all these mean for you is that you’re going to have a very easy time using this to train your players to field popups and grounders. You can swing as often as you like, and you’re less likely to get tired. You’re also liable to hit the ball wherever you want and with the strength you want. The amount of control you have over the fungo bat is really that good. It is available in a many different colors, so you may want to choose a strikingly different color for it. That should alert your player not to use it, and you can easily identify it when you need to use it for practice. For outfield practice, the best option for you is to use the 37-inch version. That will give you the capability to hit the ball to all spots even in a regular-sized baseball field. It’s still nicely light, though, and it tips the scales at about 20 ounces. The 35-inch version may be a bit easier to control for you, but then you will lose some power in exchange. The 33-inch version is what you should get if you’re a Little League coach. It’s great for smaller baseball fields, and you can control the power of the ground balls for the safety of your young players. It’s only effective for infield practice when you use it for regular sized baseball fields. Even Mizuno contends in the fungo bat niche. That goes to show that this isn’t really a trivial piece of equipment. Reputable brands like Mizuno also offer high-quality options. This is made of Maple and Poplar composite. That means Mizuno used numerous pieces of Chinese Whitewood (also known as white wax wood) and engineered them to fashion this 35-inch fungo bat. The material is quite durable, and you also get a terrific feel when you wield it. It’s why it’s used for some martial arts training equipment. That feeling is probably enhanced by the fact that it weighs very little. It probably weighs in at about 21 ounces. That means it is light enough for you to swing lots of times and you won’t get too tired too quickly. Some people have expressed some dismay that it doesn’t really last all that long. But they probably disregarded the Mizuno designation stating that this is only meant for infield use. It’s not designed to hit long fly balls to every corner of the outfield. It is long enough for some to do just that, especially for smaller Little League baseball fields. 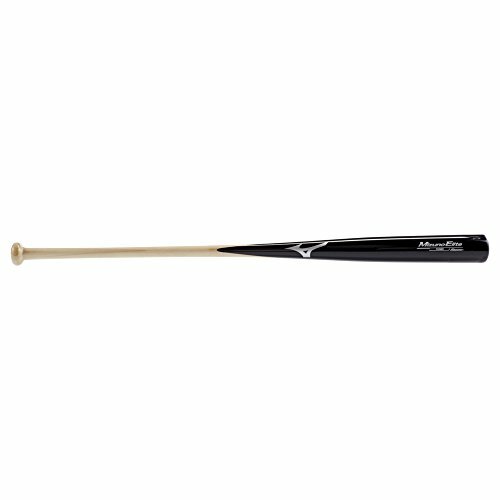 But if you’re looking to just train your infielders, then this Mizuno Classic is a terrific choice. You may think that there are no good non-wood fungo bats, but that’s not really true. The Easton F4 is proof enough that you can get high-performance aluminum fungo bat if you want. This bat measures 35 inches long, and it weighs just 22 ounces. For many, that weight and length combination is just right for lots of easy swings. You also have enough heft to launch fly balls all over the outfield. It feels good in your hands too. It comes with a pro-taped grip, and the handle measures thin enough at 31/32 of an inch in diameter. The handle diameter feels right and sentential, and the grip allows you to hold the bat securely. 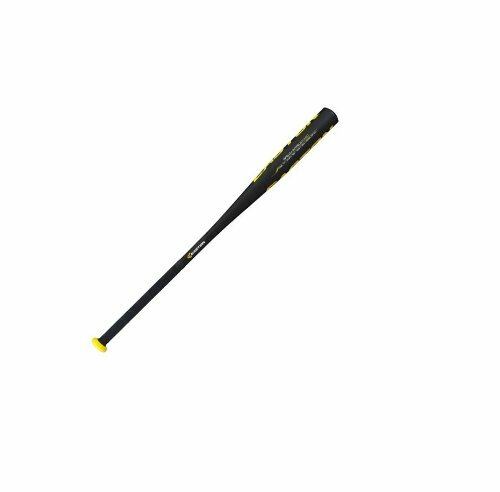 With this fungo, you can launch faster balls, which works great for outfield practice. It really does feel like gameplay action for your outfielders. In addition, you have a measure of control in where you want to ball to fly to. The same goes for your infielders. You can hit the ball squarely and consistently, with just the right amount of power you want. You can relax a little when you’re dealing with Little League youngsters, and then you can give it more oomph when you’re training high school players or adults. The ping of the bat is also a nice touch. It feels like real game day action, since in games most players use non-wood bats. By the way, there’s also an extra reason why it’s very popular for parents. It’s also qualifies as a nice home defense weapon without worrying too much about legal consequences or personal safety. How is a Fungo Bat Different from a Regular Bat? So what is a fungo bat, really? A baseball fungo bat is significantly different from a regular bat. It’s longer than a regular bat. Regular baseball bats can only go up to 34 inches in length. However, fungo bats typically reach 35 to 37 inches in length. It’s lighter too. Regulation bats can reach a weight of up to 30 ounces. But fungo bats are only 22 ounces in weight at the most and some are even as light as 17 ounces. A fungo bat also has a thinner barrel. In fact, it’s like you’re using a broomstick handle for your bat. The thin handle is extended, and the diameter of the barrel almost always top off at 2¼ inches. A standard baseball bat has to deal with pitched balls, which is why they tend to be heavier and larger. Fungo bats, on the other hand, are just for practice. Why Use a Fungo Bat? Nowadays, fungo bats are generally used only by coaches and parents when they’re training and practicing with their players. Most coaches and parents aren’t really all that athletic, so the problem is that for them the regular bats with their size and weight are too much. After just a few swings for popups, the adults tend to tire out quickly. It’s too much of a workout for them. In addition, the design of the fungo bat gives the adults faster swing speeds. This gives them the ability to hit grounders and popups to both the infield and the outfield. Finally, the thinner design and the weight allow the coaches to put the balls in play with greater accuracy. They’re more able to make the ball go precisely where they want it to go. In fact, there’s an apocryphal story that the late great California Angels player and coach Jimmie Reese was once able to shoot a score of 82 on an 18-hole golf course with nothing more than a fungo bat and a putter. An “apocryphal” story is a tale that may not be true, but it ought to be. In this case, it applies. It really goes to show you can make use of a fungo bat if you’re a coach or a parent. You can practice with the kids for a longer period of time without you whining about the pain and the difficulty of continuously swinging the bat. Who Shouldn’t Use the Fungo Bat? The main disadvantage with the fungo bat is that some players—especially the smaller kids—may prefer to use it during practice. It’s not just useless in developing the hitting skills of the players. It can actually make them worse. In fact, newspaper articles have been printed about how players using fungo bats are the worst for training—and these articles were printed way back in 1886! These articles pointed out how the bats trained the eye of players to meet the ball in situations that would never occur during actual gameplay. Usually the reporters recommended the banning of these fungo bats for use for players. So getting a fungo bag is a good thing—if you’re limiting its use for coaches and parents. They’re like alcohol and prescription medicine. You have to keep them out of reach of the players. Hopefully, by the time they get much older they won’t feel the need for a lighter bat altogether. How Do You Pick the Right Fungo Bat? The best fungo bat depends a lot on your personal preferences, if you’re a coach or a parent. Price. They’re practice bats, so they really shouldn’t be all that expensive, right? Still, it is for the adults, so it can’t be too cheap especially if you want one that lasts. The good ones tend to come with price tags ranging from $30 to $70. Length. For Little League practice, you don’t really need a very long bat. So a shorter one at about 34 inches will give you better control. However, for coaches of high school players you may need something that goes all the way to 37 inches so you can practice popups into the outfield of a regular sized baseball field. Weight. Usually, lighter is better so you don’t get fatigued too easily. That’s actually the point of a fungo bat, you know. Material. The fungo bat can be made of wood, aluminum, or carbon composite. Each of these materials offers a different feel, characteristics, and performance. Durability. The material will affect this factor, but so will the brand and where and how it was made. Generally, you want bats made in either the US or in Japan. Performance. It should be easy for you to use, and you should be able to hit the balls quickly in to the spots you’re aiming for. It’s not always easy to find fungo bats in your local sporting goods store. They’re actually more of a specialty item, and so you need to get them online. As a bonus, they do tend to costless when you buy them online than in a brick and mortar retail shop. So which bats should you get? It should be obvious by now that not all fungos are created equal. However, after considering all the factors you’re likely to find the best fungo bat here on our compiled list of best options. Any of these fungo bats should work out well for you. It’s all up to what you personally like in terms of price, looks, weight, and length. But each of these practice bats will give you the performance you need so you can help train your players without getting too tired too quickly. Now some of you coaches may think that the regular bat is good enough and that fungo bats are unnecessary. But regular bats aren’t designed for numerous swings one after the other. Use these regular bats and you simply will tire out right away. But with these bats, you won’t. The control a fungo bat offers is excellent, and that’s great for the kids too. It helps you last longer and it helps the young players become better at their position. That’s called a win-win proposition!